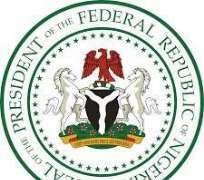 The Presidency on Monday said 23,000 persons have so far benefited from 23, 400 loans in 13 States and the Federal Capital Territory (FCT) in the Government's Enterprise and Empowerment Programme (GEEP), under the Social Investment Programmes (SIPs). A statement by the Senior Special Assistant on media and publicity, Laolu Akande, listed the States as Adamawa, Akwa Ibom, Delta, Ekiti, Kogi, Kwara, Niger, Lagos, Osun, Ogun, Oyo, Ondo, Rivers and the FCT. He said the loans ranged between N10,000, to N100,000 per applicant. The loans, he said would be paid directly to individuals, while they are expected to belong to registered associations and/or cooperatives to ensure that they were peer-endorsed as credible, and to facilitate timely repayments. Stressing that the Micro-credit scheme is a no-interest loan scheme, with only a one-time 5 per cent administrative fee for costs, the statement said the loan is targeted at micro-enterprises: traders, artisans, market men and women, entrepreneurs, farmers with the involvement of cooperatives and executed through the Bank of Industry, BOI. It added 'Although over 23,000 people have benefited from the loans, altogether, over 1 million people have already enrolled for the programme across the country and are expected to benefit this year. It also gave details of the cost of the feeding programme, stating that N70 was the cost of the one meal per pupil. 'Contrary to insinuations in some quarters and inaccurate reports in some sections of the media, there are no payment issues or any kind of food rationing taking place in states where the Homegrown School Feeding Programme has kicked off. 'While the Federal Government has paid all approved cooks based on the number of pupils allocated to each cook, it is the State that provides the number of pupils to be fed. And where those figures change, the next batch of FG payment would reflect it. 'Specifically, where the number of pupils increase, the State will communicate the increase and approve the review. The numbers of the new pupils are then physically verified, before a commensurate number of cooks are engaged, trained and then paid. 'The FG has also adopted a system where it pays the cooks a 10-day advance payment for feeding. The programme is designed to ensure that no cook feeds more than 150 pupils a day, but in some cases, the numbers are as low as 35 children per cook. 'The meal which must be sufficient and nutritious is costed around locally sourced items and approved by the State under the N70 per child provision by the Federal Government. Food quality is monitored at the school level through the head teachers, the Parent Teachers Association, PTA, and the State monitoring teams. '11 States have so far indicated their readiness to commence the school feeding programme having met FG's set criteria. 'The progress so far recorded with the Homegrown School Feeding Programme, the N-Power Teach for unemployed graduates, the Conditional Cash Transfer for the poorest, and the GEEP underscores the Buhari Presidency's commitment to the plight of poor Nigerians and unemployed youths in the country. 'Efforts to ramp-up all the schemes are in top gear currently', it said.